From Hollywood personal trainer, David Kingsbury, this is the revolutionary diet and fitness plan that works because it's personalised to YOU. 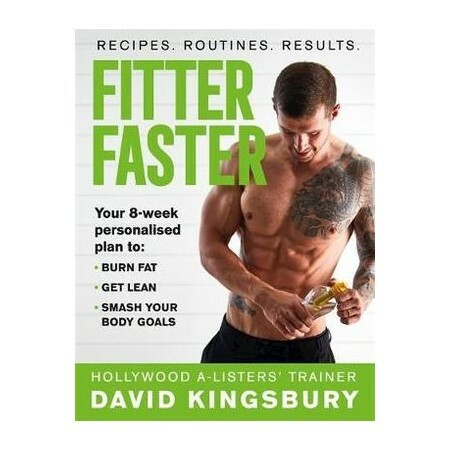 Drop up to 4 pounds a week, safely and sustainably, with the revolutionary 8 week fat-loss plan from acclaimed celebrity personal trainer, David Kingsbury. Using the methods that have worked on the actors and actresses in X Men, Wolverine and Mamma Mia 2 to name a few, David's easy, achievable plan will help you get the body you've always dreamed of, for good. David Kingsbury is credited with being one of the top trainers in the world, being the personal trainer for a whole host of A-listers and movies. He has had the same fantastic results with real people with busy lives and schedules through his online weight-loss plans.